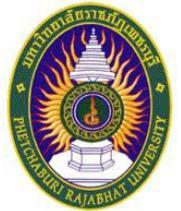 Phetchaburi Rajabhat University is a state university in the University. Located in Petchaburi Province. Phetchaburi Rajabhat University was located in Ratchaburi province and called “agricultural school” Later in the year 1927 moved in Phetchaburi Province.